The incident took place last night at around 9 pm when two PSOs of BJP MLC Sofi Yusuf thrashed local BJP leader Muhammad Saleem Bhat's son Amir Saleem for not giving passage to the vehicle of the MLC. Two personal security guards (PSOs) of a Bharatiya Janata Party (BJP) leader have been arrested by Jammu and Kashmir police for allegedly thrashing the son of another BJP leader in Banihal last night. 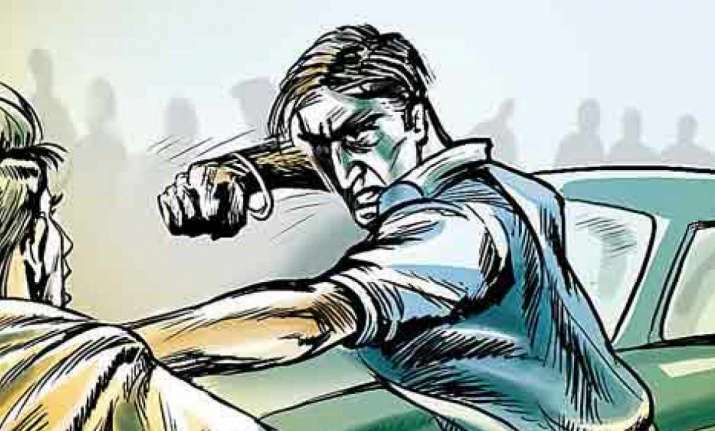 According to reports, the incident took place last night at around 9 pm when two PSOs of BJP MLC Sofi Yusuf thrashed local BJP leader Muhammad Saleem Bhat's son Amir Saleem for not giving passage to the vehicle of the MLC on the Srinagar-Jammu highway at Banihal despite being signalled. The ruckus attracted the attention of the locals, who assembled and caught hold of the PSOs. "One of the PSO fired a shot in the air to scare away the locals," an official told media, adding that both the PSOs were handed over to the police. A case was registered on a written complaint under FIR number 61/2018 u/s 307 341 323 RPC and 7/27 Arms act at police station Banihal.